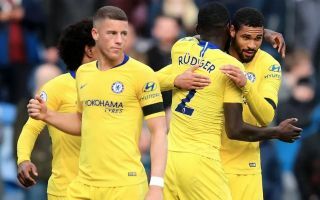 Chelsea midfielder Ruben Loftus-Cheek has taken to Twitter to deny rumours he’s set to become the first active Premier League footballer to come out as gay. The England international said that while any player wishing to do so would have his support, he insists the rumour about him is not true. Quite where this rumour first came from is not quite clear, but it would seem there is nothing to it at all. Still, it is quite remarkable that even in this day and age there are no openly LGBT footballers playing at the highest level. It was claimed a couple of years ago that around 2% of the population of the UK now identify as gay, lesbian or bisexual, so one imagines there must be people within the footballing world keeping that a secret. It’s nice to see Loftus-Cheek offer support and respect to anyone who did wish to come out, so let’s hope we can soon live in a world where people’s sexual orientation is simply not a big enough deal to even warrant the process of coming out.